i attempted to build a network storage device a few years ago complete with raid5. it would be the one place i would store all the photos i was taking since i started a bit of amateur photography. but i failed to set put this server on a ups, which after a few brown outs and possible a black out or two, damaged the raid configuration enough to render the server useless. it sat like that for while. then i picked up the project again this year. 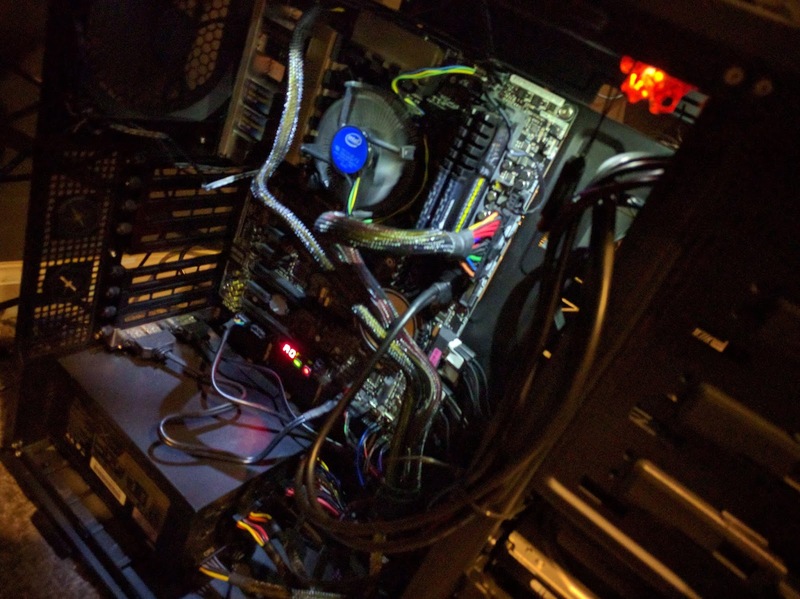 i replaced several components and most of the hard drives. i rebuilt the array by hand rather than using centos install wizardry. and i wish i had started with hitatchi drives since i had to replace a few of seagates due to failed sectors. i would also have found a mSATA adapter since my motherboard doesn't include one and put the centos 7 on it giving me one more drive for the raid. to avoid losing more data, i created a crashplan account and am backing up data on this raid to that location. it will be my off-site storage solution. i need to put the panels back on the rig and set it aside to do its job. oh, and i do have this server on a nice ups this time. no more power-related damage going forward.